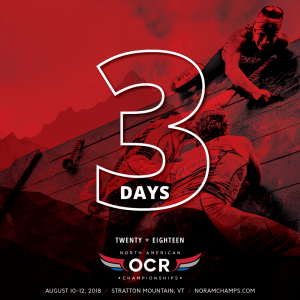 The NORAM OCR Championships are this weekend! 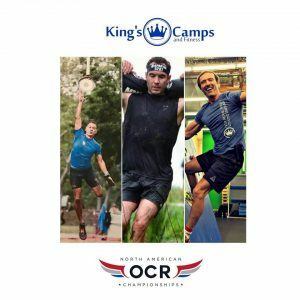 The King’s Camps and Fitness Pro Team and Family are headed to Stratton Mountain, Vermont for the North American Obstacle Course Racing Championships (NORAM OCR) this weekend. 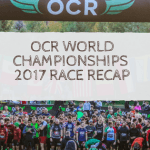 This will be the second race put on by the folks at Adventurey LLC – better know as the OCR World Championship team. Last year the event was only open to the US and titled the United States Obstacle Course Racing Championships. With the door being opened to athletes from Canada (where the championships were held last year,) Mexico and South America this year, the completions will prove to be fierce. Adrian, the man behind the event always puts on an awesome event and this event is to be like no other. 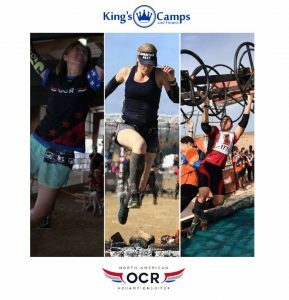 Most all of the race organizations that have contributed to the past championship events will have their obstacles there, proving that this is truly a championship race made up of the best race houses in OCR. 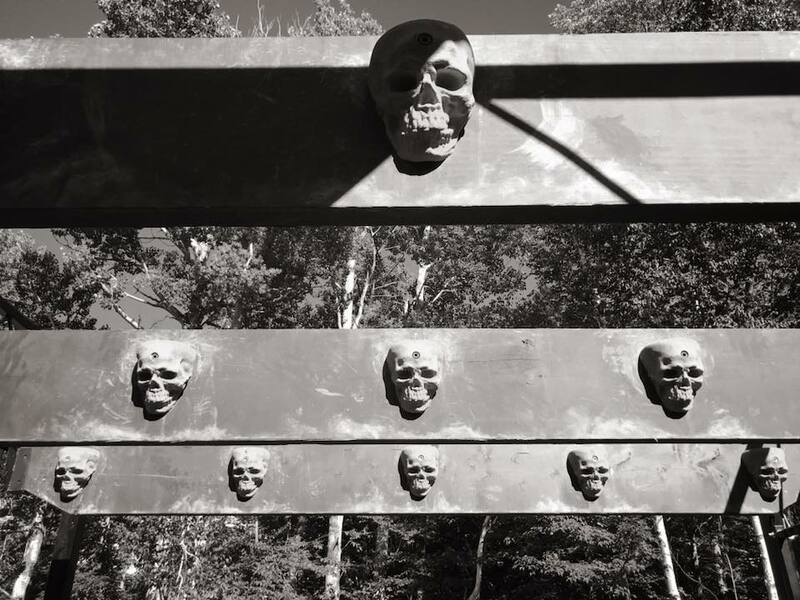 Also, Stratton is a new mountain for this event or any OCR races aside from “mud runs,” so the elite caliber athletes who are going to be racing the course will all be on fresh, even ground. 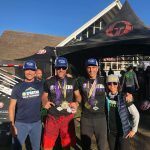 Last year, King’s Camps and Fitness had an exceptional showing, taking home numerous podium positions and amplified the strength of the California presence. This year, King’s Camps and Fitness is sending out another stellar team but adding to those participating individually in the 5k and 15k events are several strong teams that have been formed for the team relay on Sunday. The relay is designed around a three-member team with three specific strengths – speed (aka cheetah,) obstacle competence (aka monkey,) and strength (aka bear.) Together they will complete the course and the designated obstacles below to gain the best time possible. This will prove to be another unforgettable event and we are so proud of all of the training our family of athletes has put in to put up a good fight this weekend. In our eyes, they have already won. That being said, we hope to see them all come home with their bands and big smiles. Stay tuned for a race recap! 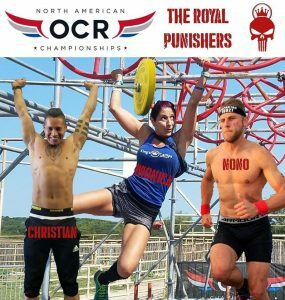 Bands: The NORAM OCR Championships is a bands-over-burpees race where you must complete the obstacles of forfeit your band and take a Did Not Finish (DNF.) There are no time penalties or physical penalties such as running loops or burpees that can get you past an obstacle. 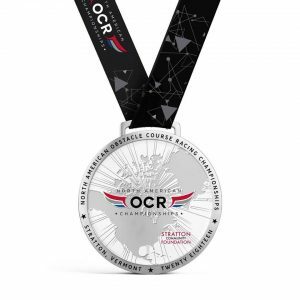 So, in most cases, the band is a bigger prize than the medal – but then who doesn’t like a little bling.